Yeah, I saw that too. Not that I have any desire to make one, but there is a .pdf floating around showing how. Doubtful...and probably not in our lifetimes...we still have a ways to go before our economy tanks completely and the sheeple wake up. If anyone destroys theirs it is their own stupidity. And the thing is....How many cops KNOW what to look for? Scrape insignia off and they probably won't know. Seems like there would have been a 'deactivation' etc. clause in there somewhere. What if someone pins one like collapsible stocks are pinned in ban states and it s no longer operable? Let's analyse that for a second. We'd have to start by ignoring the fact that they couldn't find a statutorily valid way to call these a machine gun for over a decade of trying. The statute's language simply can't define one as a machine gun. 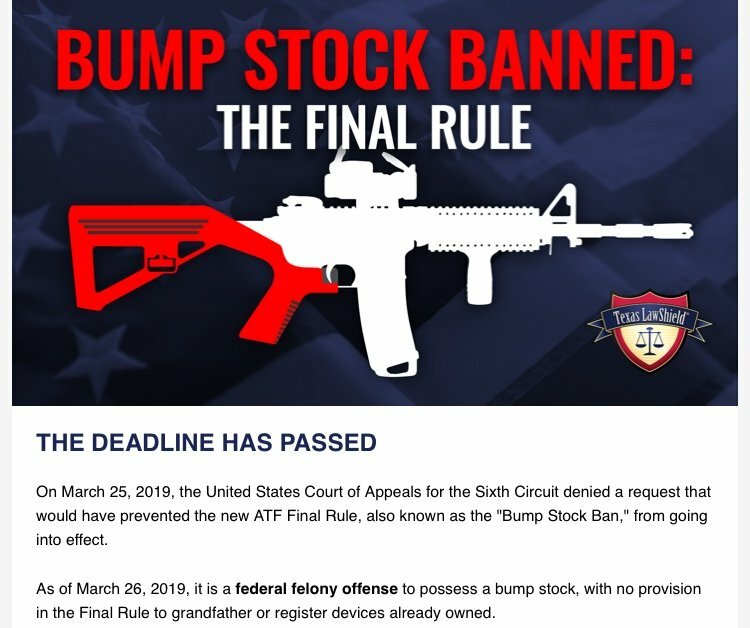 So skipping that and just saying a bump stock IS a machine gun, then you would need to do an analysis on whether a deactivated bump stock was "readily convertible" into a bump stock. 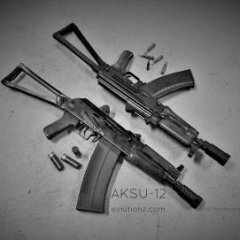 - Like any collapsible stock is if you hold the detente open, and mount the pistol grip to the stock. This whole thing is untenable from the perspective of applying a law and then enforcing it. It only "works" on the basis of " well this is what our agency is going to do, and all the other agencies &/ interests with the ability to object have agreed not to call us on it." NRA and Donny boy sold us out hard. GOA hasn't. Who knows what a judge will say, but if the judge actually applies legal analysis to it, I don't see how he can conclude that there is any authority to ban bump stocks which doesn't equally apply to all semi autos, and further, that the actual law does distinguish semi autos, so that can't be valid. But if the supremes say “strict scrutiny “ on anything gun related will that help?? Taking without compensation is THEFT! THEFT is not a legitimate function of Government. That's part of what I was referencing above. But you could do a lightening link, or a DIAS out of wire, sheet metal, or if you want to put a little effort in, a pin, and a small block of metal. You could do it all in under an hour with nothing more than a drill and a file. Saw one with a bent up piece of coat hanger. If you didn't know the shape needed, you wouldn't know it would function as an auto sear. Even the Street Sweeper owners were given the opportunity to register them tax free, under amnesty. Seems like that would be another angle for a court challenge, maybe even a crowbar to go after the Hughes Amendment with. Opposition reads our forums too.